Women Organizing Women, Inc (W.O.W.) 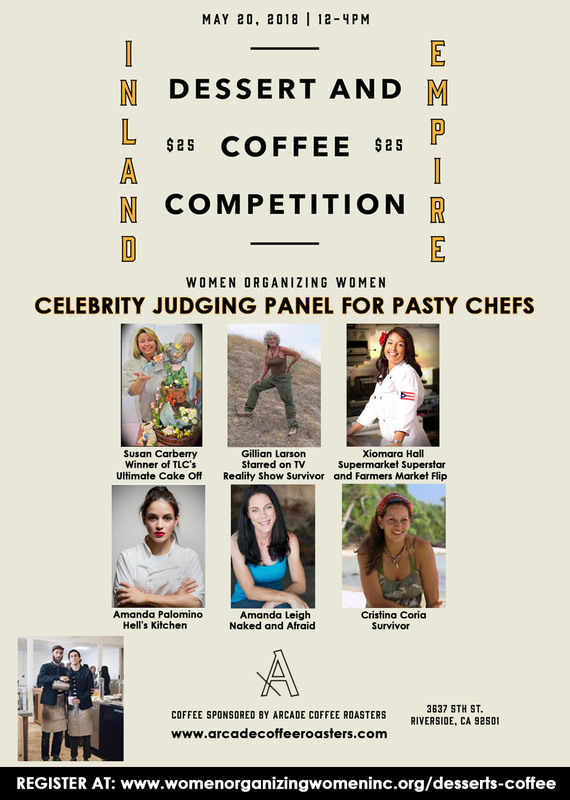 is excited to host Inland Empire’s Annual Desserts and Coffee Competition Expo! The purpose of this fundraiser is to financially support the Lydia Project. Our Mission is to aide and assist women who own micro-businesses and grass-root nonprofit organization. Our goal is to help women in overcoming their barriers by destroying the cycles of co-dependence to the welfare systems which ultimately lead to generational poverty. Our objectives are to change mindsets and behaviors, restore trust, and provide support. The Lydia Project is designed to teach personal development, family values, health and wellness, physical, emotional and spiritual well being, financial literacy, stewardship, commitment, marketing and business acumen.